New Orleans’ Cane and Table doesn’t look that exceptional from the outside, but it’s a pretty exciting place, especially if you’re into your rum. 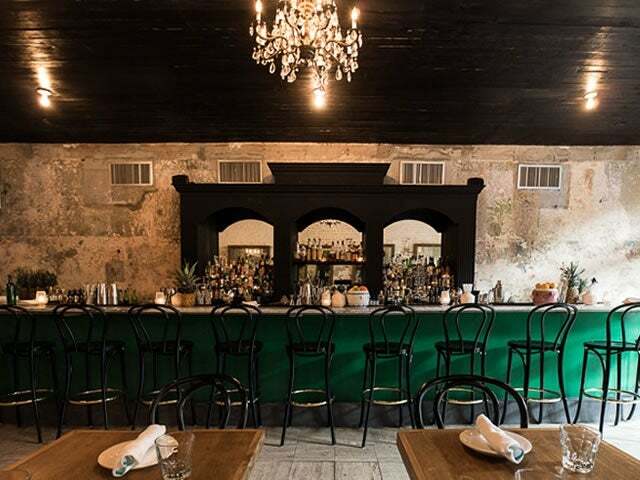 New Orleans’ Cane and Table doesn’t look that exceptional from the outside, but it’s a pretty exciting place, especially if you’re into your rum. Inside the bar is handsome with a distressed, rustic vibe, a bit like a Havana bodega, all stripped-back walls and bare brick, a long green bar on one side of the room, large mirrors helping make the most of the space. 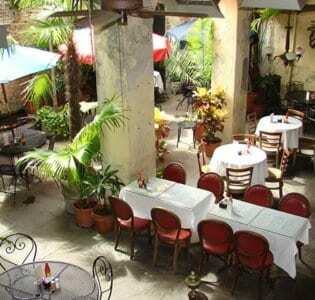 The place is manna for lovers of rum and also stocks a large selection of Spanish vermouths. The drinks list contains a number of Cuban cocktails and proto-tiki drinks, classics of the cantineros, with names like the Hitler’s Jitters and the Daisy de Santiago, the latter a refreshing take on a daiquiri, with a good splash of Yellow Chartreuse mixed in with the rum and fresh lime. They also serve their own particular twists on the Presidente and the Sloppy Joe’s Special. The Fearful Symmetry is a reworking of the Pina Colada with passionfruit and cacao and the Bottled Silk blends Cava and Fino Sherry. Havana Club rum plays a pivotal role in the drinks list and if you’re hungry they serve a great range of tasty Caribbean dishes, including fresh puffed pork with jerk seasoning, peas n rice, curried rabbit, and crispy rum ribs. Ingredients are well sourced and their signature Rope Vieja is well worth your attention. Pair it with a round of rum cocktails for a memorable night.